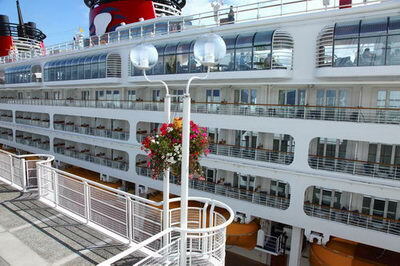 Many of the excursions on the Space Coast are right there in Port Canaveral. This truly makes for convenience however; trying to find parking can be enough to make you want to pull your hair out! This is especially true when it comes to all of the most popular sites. Walking a long way through a blisteringly hot parking lot is not most people’s idea of fun. Getting overheated can be quite perilous for both, older people and young children. Using Port Canaveral limousines will eliminate that problem, and provide you with door to door transportation service for your excursions. A high end sedan or limousine will provide the comfort and safety needed for traversing the Space Coast. Luxury Transportation Group USA has a fleet of luxury vehicles that are suitable for a single passenger, as well as large or small groups. There are an awful lot of groups that travel to the Space Coast to experience all the great things it has to offer visitors. It’s a pain to travel there in separate vehicles, and then hope to meet up at the desired destination. It’s much wiser to use limo services that offer Port Canaveral shuttle services on the Space Coast. The knowledgeable drivers will be able to answer anything you need to know about this spectacular area. Luxury Transportation Group USA provides the highest quality minibuses for groups in need of shuttle service in Port Canaveral. Luxury Transportation Group USA is the premiere provider of limousine transportation services in Port Canaveral, as well as all over the Space Coast. The fleet of luxury transportation vehicles is second to none in the area. Call 407-476-0429 for all of your Port Canaveral transportation needs.